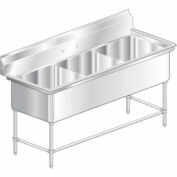 Constructed of durable 16 gauge stainless steel with hemmed edges for safety. 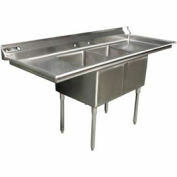 Compartment sinks are 430 stainless steel, best suited for soap and water applications. 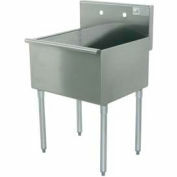 All sinks have an 8"H backsplash, 1-1/2" diameter 304 stainless steel legs with adjustable levelers. 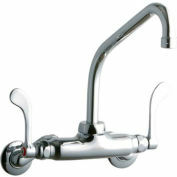 Faucet spacing on 8" centers (4" on hand sinks) 1/2" hot and cold water supply. 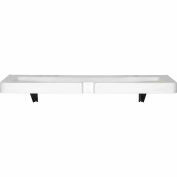 41" overall height. 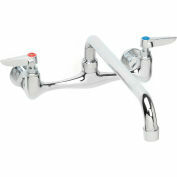 Your review: Received sink earlier this week and it really looks great and is more than I expected. 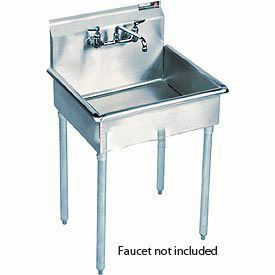 I hope to have the sink installed next week and it really looks too good to use as a "clean-up" all purpose sink.